How socialist Yugoslavia’s legacy is being removed from the landscape. The “Tito in the trash” picture was shared all over social networks after the name change was announced on June 26 by Milan Bandic, the long-standing, and newly re-elected mayor. “Since I am 61 years old and in my sixth mandate as the head of the city of Zagreb, and I know how to read the signs of the time in this city and beyond, and how to listen to the pulse of the people, I was inclined to … propose something which no normal person in this country should be against,” Bandic proclaimed at a press conference. Many monuments have disappeared over time and today all over post-Yugoslav countries there are empty spaces where once were heroes. This one is from Rocevici, near Kraljevo, Serbia. Photo: Group of Architects, Serbia. 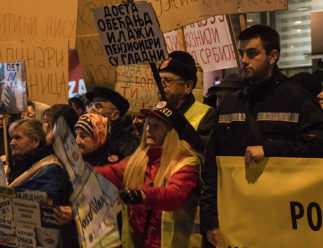 The decision sparked protests, with accusations of a political trade-off being behind the renaming, and reminders sent to Bandic that he should respect his pre-electoral promise to decide about the square’s name through a referendum. It is not only Tito’s name which is problematic. 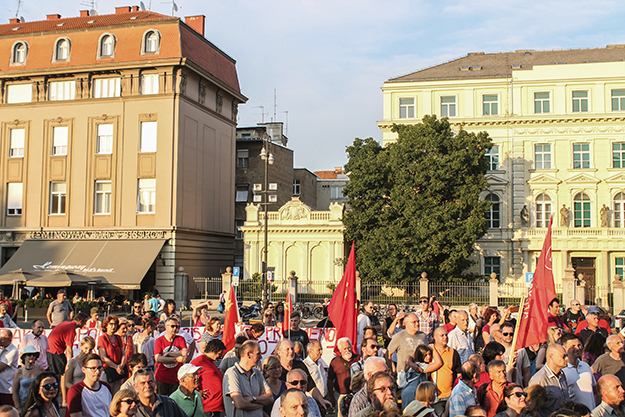 Since the ’90s, any connections to people or events linked to the anti-fascist fight, workers’ rights and generally the entire legacy of socialist Yugoslavia have been systematically erased, either by changing the names of streets and squares, or even destroying or neglecting monuments and cultural heritage. This phenomenon is not limited only to Croatia, but takes place in all of the former republics and provinces of Yugoslavia. Dealing with the past or calculating the future? By destroying or neglecting reminders of the socialist Yugoslav past, history has been revised, and a new one is being written. 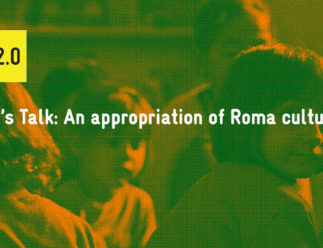 Sanja Horvatincic from the Institute of Art History in Zagreb wrote her PhD thesis on the legacy of monuments from the socialist period, and believes that the attitude towards monuments in post Yugoslav states varies considerably from country to country. This opened a space for a discussion that echoes through Croatia until this very day: Which crimes are larger and more serious — those committed by communists or those by fascists? Numerous intellectuals rebelled against Tudjman’s decision, and the Action Committee for the Square of the Victims of Fascism organized protest gatherings every year on January 9, the Day of Victory over Fascism in Europe. In 2001, after 10 years of campaigning to get the original name reinstated, the authorities relented. "The naming of streets in a unique opportunity for writing history." In his 2007 essay, “Change of government, change of streets,” Bojan Marjanovic from the University of Zagreb, pointed out that the names of notable figures from the socialist era had been erased in Croatia, as well as names citing events related to the fight for the liberation of the people, any mentions of ‘Brotherhood and Unity’ or the proletariat, as well as certain place names. They were replaced mainly by the names of Croatian kings, aristocrats and rulers, Croatian scientists and intellectuals, names that indicated the layout of Croatian territory, and names that showed Croatia’s pro-Western mindset. At the same time, Croatia’s connection with the other republics of Yugoslavia disappeared. Perhaps the most visible example of this is the renaming of the street formerly called Belgrade Avenue, which is used to exit Zagreb and head to the highway for Belgrade. It became “Slavonian avenue,” after the area in Croatia. Who are socialist monuments undesirable for? Momunem at Kozara, Bosnia was damaged after the last war. Today at Kozara, local authorities try to ignore anti-fascist past and use it as a symbol of nationalism. Photo: Nidzara Ahmetasevic / K2.0. However, monuments from that era in Croatia have suffered significant damage. It is estimated that around 6,000 monuments and memorials were recorded in Croatia by the end of the 1980s. But by 2000, according to a census carried out by Savez antifašističkih boraca i antifašista RH (Association of Anti-fascist Fighters and Anti-fascists of the Republic of Croatia), more than 3,000 monuments and memorials were destroyed or severely damaged. This number is now almost certainly even larger because much of the devastation occurred after 2000, and not all of the monuments damaged before 2000 were included in the list. 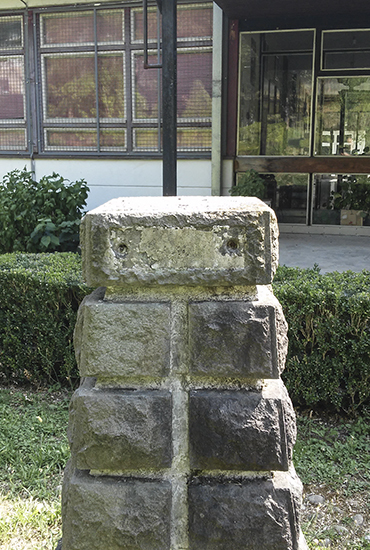 “Of the 1,700 monuments that I included in my PhD, around 30 percent are almost completely destroyed or severely damaged, and about the same percentage are preserved or less damaged,” says Horvatincic, noting that the 2000 census did not include memorial plaques and most tombstones, which were the easiest targets to remove or vandalize. The destruction of monuments was carried out in different ways, from targeted mining and the systematic removal of all monuments and memorials, to their removal from the centers and relocation to peripheral locations. Numerous monuments have also been destroyed through a lack of maintenance, or new elements that have been added to them, plaques changed or symbols added. “All this happens without any supervision, above the law, and without expert supervision,” Horvatincic says. According to some sources, there were about 30,000 NOB monuments across the post Yugoslav states. 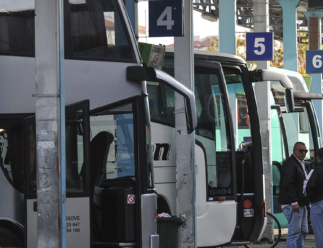 While their number in Croatia is considerably “crippled” by systematic destruction, cases in neighboring states also show what happens when vandalism is combined with impunity. Nevertheless, the rebuilding of the Partisan Cemetery in Mostar is under way, with work being led by the Mostar branch of the Association of NOB fighters, and funded by the government of Norway. There has been no such systematic destruction in Serbia, but the monuments are in poor condition, mostly due to neglect. 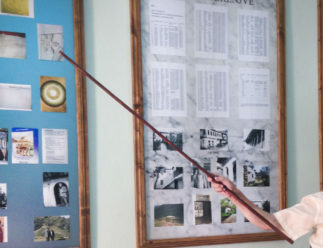 Jelica Jovanovic is an architect and member of the Group of Architects NGO, which is conducting research on the conditions of monuments from the socialist era throughout Serbia. Protest are happening regularly in different post-Yugoslav countries as people try to maintain memories about the anti-fascist struggle. Photo: Jelena Prtoric. While monuments and dedications to anti-fascism are disappearing from the post-Yugoslav landscape, in Serbia new memorials to 20th century history are appearing. Even before the leader of the pro-fascist Chetnik movement was officially rehabilitated, his name returned to public discourse due to a monument erected in his honor in Ravna Gora, and numerous plaques across the country. Then there is the reverence shown to the Russian soldiers fighting in World War II. “What is a little worrying is that new monuments appear in honor of soldiers of the Red Army, literally all over Serbia,” Jovanovic says. “I do not know how many of them are out there, but it is enough to see that this is a tendency. However, we have recently noticed the trend of building new features honoring the Red Army with texts that say something like… ‘to our Russian brothers who participated in Serbia’s fight for independence.’” highlights Jovanovic pointing out that this is a historical forgery. He believes this is a ‘historical forgery’ and clarifies that it is about one of the “channels of adulation to Russia”, pointing to another way of revising the past that takes place in the area of what was once called Yugoslavia. And while in Serbia monuments are built and memorial plaques erected in tribute to the Red Army and the Chetnik movement, in Croatia, it is the Nazi-allied Ustasha movement’s heritage that gets “whitewashed”. In June, one of the most prominent members of the Ustasha movement, Jure Francetic, almost got a memorial plaque in his name in his hometown Otocac, in central Croatia but the initiative was stopped thanks to a quick reaction by anti-fascist associations and activists. 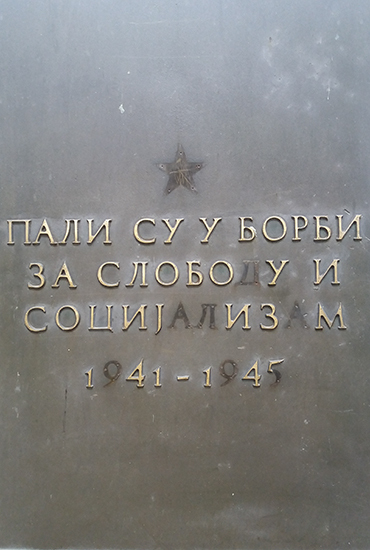 Yet, a plaque with inscription that reads “Za dom spremni” (“For homeland – ready!”), a salute used during World War II by the Ustasha movement still stands in the center of Jasenovac, near the World War II concentration camp. Feature image: Stefica Galic, Tacno.net.